Ok so this is going to be a short post. 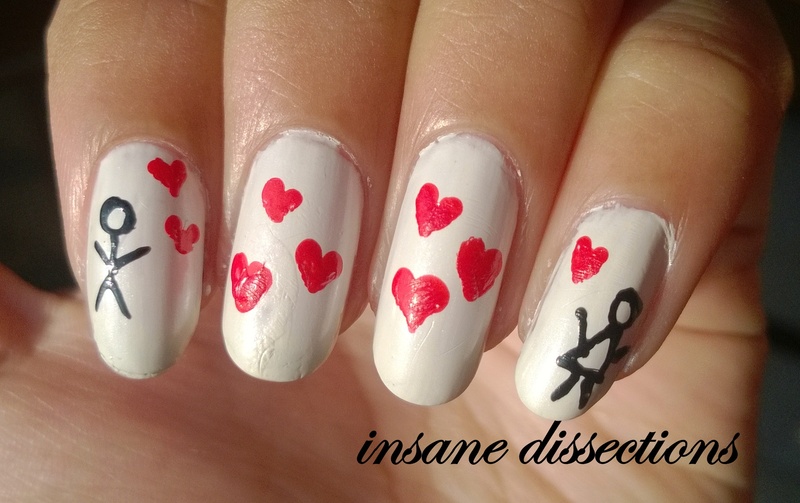 Since love is in the air, I did a Valentine’s day nail art. I painted my nails in White base color since this is the best color as your canvas on which your imagination can run wild. I wanted to paint a boy and girl exchanging hearts. 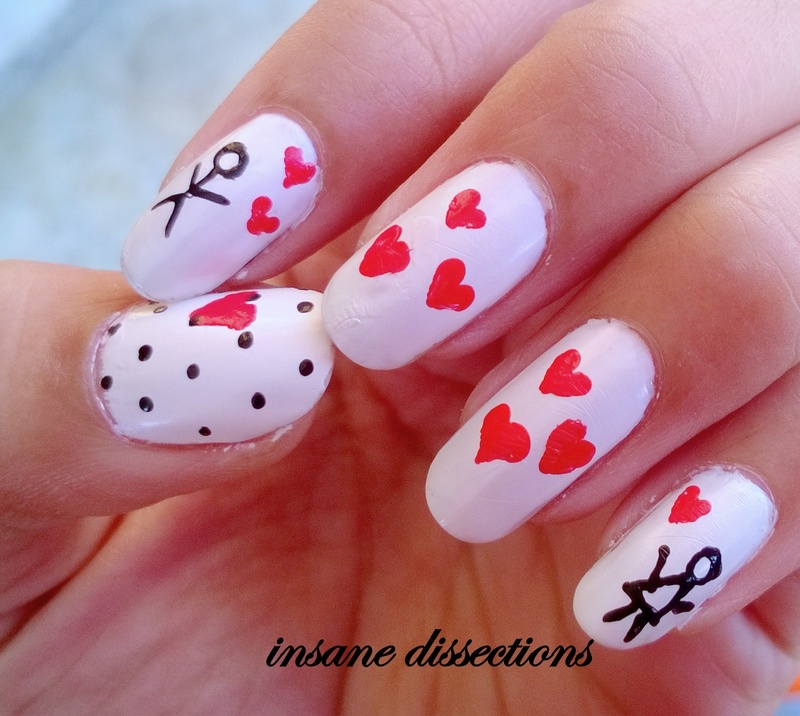 I drew the hearts using a tooth pick. 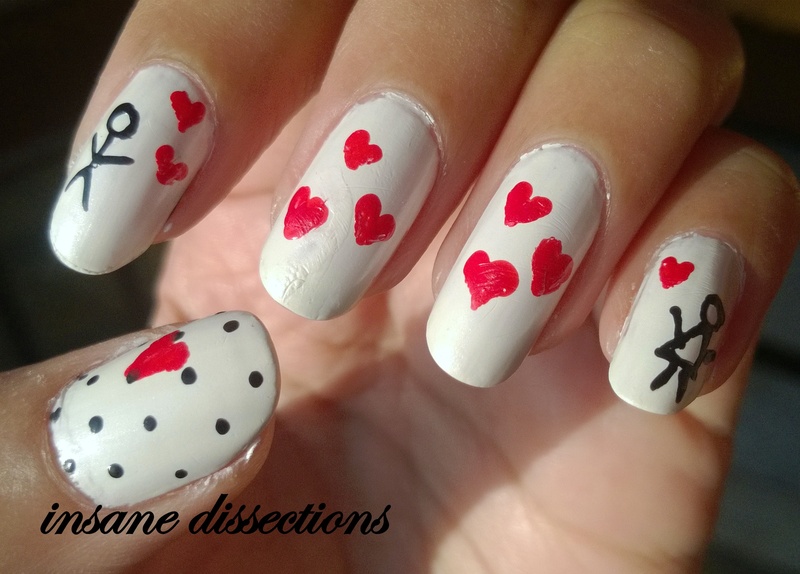 You can find the tutorial for drawing hearts HERE. I have used the first method out of the two given in the tutorial. Worth a read I’d say. I drew the boy and the girl using a nail art pen. Now since the couple’s hearts exchange finished off on the 4 fingers itself, my thumb got lonely = D So I did the easiest thing. Added Polka dots. And to keep up with the theme I drew a small heart. I liked the mani. Hope you find it useful too.